Silver Realities an Infrastructure Pvt. Ltd. The twisting, sculptural design of these twin towers for Silver Realty will create an iconic landmark in the city of Indore. With façade articulation linked to lavish decks, each apartment will have a unique outdoor space that differs in character and form subtly. 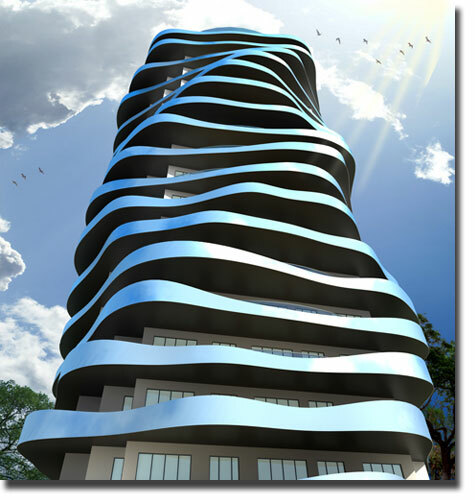 This premium development boasts a series of firsts in terms of facilities for such developments in the city and groundbreaking expected in early 2012.